Eli Krantzberg brings you in-depth video tutorials all about the Logic Pro X 10.4.2 update and how to use its new features and functions! 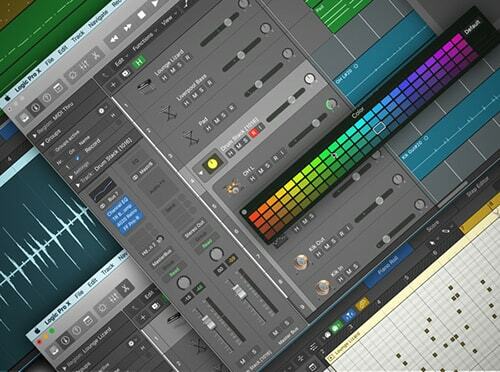 Stay up to date and get the most out of your Logic Pro X DAW with these videos. Eli welcomes you and goes right into the first new features covered, Sends on Faders and Independent Pan, which are used to pan sends independently from their channel strip panning for more creative soundscape options. Next, you'll see how to quickly and easily set up and edit headphone mixes using the new Copy Fader to Sends feature. Another big request from LPX users was the ability to move the vast Logic Pro X sound library to another drive for better performance. Eli shows you how with this new feature! You'll then see a bunch of other new miscellaneous enhancements made in 10.4.2 and how to utilize them. Wrapping it up, Eli covers all the changes made to the impressive Smart Tempo feature in Logic Pro X, including using it on multitrack audio and the Smart Tempo Editor to get MIDI recorded without any musical tempo reference in sync with your session and more. See the individual tutorial descriptions for more info. Explore all of the new features and functions in this latest release from Apple for Logic Pro X, and keep up to date on what your DAW powerhouse can do... Watch "Logic Pro X 10.4.2 Update Explained" today!